Prospecta Safety Boots. 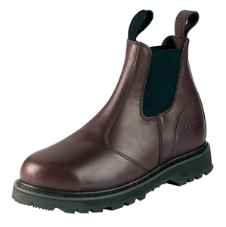 Full grain leather boots with a durable, breathable lining; oil resistant rubber outsole, steel shank for support and goodyear welt construction. Complete with a padded collar and tongue. Sizes 6-12 available.